Twitter Card Embed Options in WordPress are wider from manually embedding, PHP manipulation to Twitter Card Plugin for WordPress. 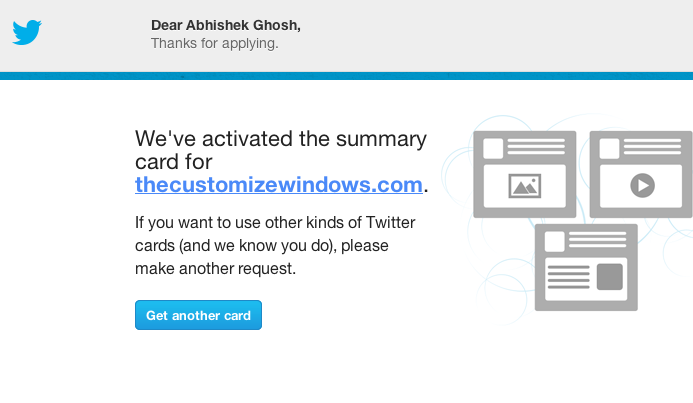 Twitter will send you personalized email if Twitter Card Embed Options are activated. I do not know whether the email confirmation is special for me or it is normal process (somewhat like Google Verified Authorship). But definitely I can show you the way how to open up the way to get Twitter Card thing for your website. Unless you actually have Twitter Card, it is obvious that second part of this guide on Twitter Card Embed Options in WordPress is useless; at least for you for now. From searching it appears it is also kind of manual checking dependent but definitely not as tight as getting that Google Verified Authorship email. I exactly did the way I described before in Various Ways to Add in WordPress Meta Data for Twitter Cards. So practically you can follow that guide if you have not yet approved. There is exactly no hack or plugin that can do a magic. These are part various ways to identify a human on Internet. Probably incoming link towards Twitter from Google Plus profile can give a bit acceleration towards approval. This is purely my opinion, below is the screenshot of Twitter card aprroval email, it is an image ! Do not click the button ! By the way, if you do not have an approved Twitter Card, you can read our another interesting guide – Get your Twitter™s tweet as RSS feed and JSON™s url plus widget codes. I have not checked whether it still works or needs a modification. Please report me in case that Twitter feed does not work. You can understand, how complicated the path the whole thing works! From this Mac to YouTube, then auto posting from YouTube to Twitter, then again back to this website in the form of Twitter Card. This Twitter Card is great option as we can embed Twitter plus Youtube Video in the above case. This Article Has Been Shared 921 Times! 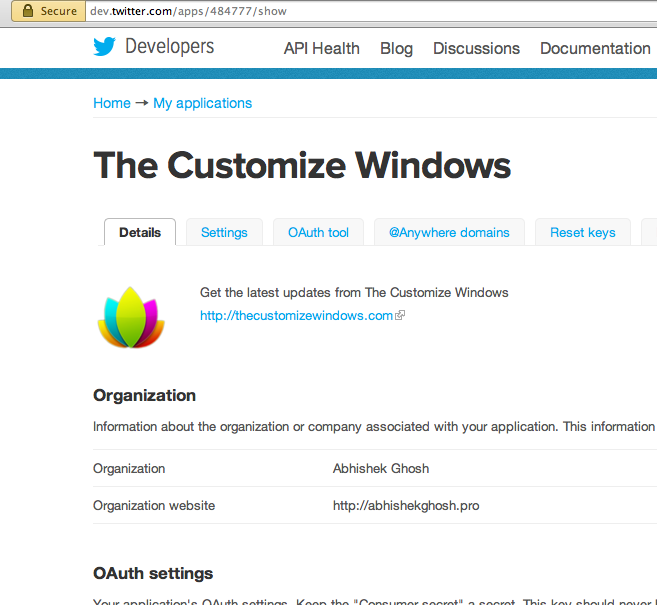 Cite this article as: Abhishek Ghosh, "Twitter Card Embed Options in WordPress," in The Customize Windows, May 29, 2013, April 25, 2019, https://thecustomizewindows.com/2013/05/twitter-card-embed-options-in-wordpress/.